If knowledge is power, then here is your superpower. Use it to amaze, cause a press frenzy, and possibly foil evil plots. Forge your own path as a music ‣ independent. After satisfactorily completing the music industry entrepreneurship program, our music ‣ independent students are ready for graduation and a career in the music industry. 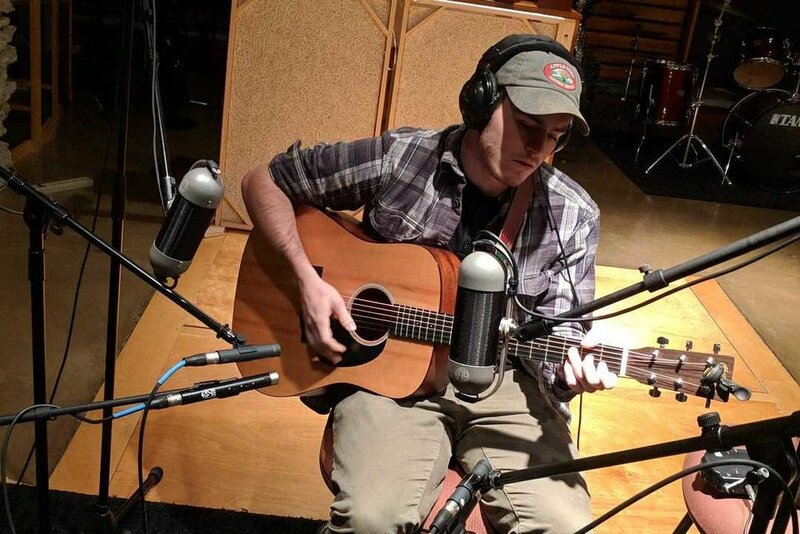 Austin Finley, aka Austin James music ‣ independent graduate at work on his debut EP. I can’t believe that the kind of music scene I’d always dreamed of not only exists but has been right next door my entire life. And to think I might have missed it, if it wasn’t for GROOVE U. Multiple, collaborative, capstone projects involving students from music ▸ production, music▸ business, music ▸ live, music ▸ video, music ▸ interactive, and music ▸ independent..
Advanced studio recording, includes: software (Logic, Reason), hardware (multitrack recording, overdubbing, and micing techniques); sequencing and MIDI.